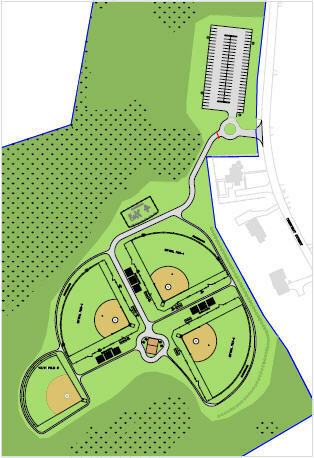 The Bridgewater Girls Softball League Fields are located at 45 Crescent Street in Bridgewater, MA 02324. There are three regulation sized fields and a smaller T Ball diamond. From left to right in the diagram below, Field 4 (T Ball), Field 1, Field 2, and Field 3 can be observed. Fields are also appropriately marked on location. There is also a small playground, restrooms, and snack shack on site.